This website ("Site") is owned and operated by CE Learning Network, LLC., P.O. Box 140214, Coral Gables, FL 33114, USA ("CE Learning Network," "CELN," "we," "us" or "our"). We are committed to adhere to established copyright standards and to protect the content of this Site, including material owned by us and those provided by affiliated companies or licensors. All content in this Site, including site layout, design, images, programs, text and other information (collectively, the "Content") is the property of CE Learning Network and its affiliated companies or licensors and is protected by copyright and other intellectual property laws. You may print or download Content from the Site for your own personal, non-commercial use, provided that you keep intact all copyright and other proprietary notices. You may not engage in systematic retrieval of Content from the Site to create or compile, directly or indirectly, a collection, compilation, database or directory without prior written permission from CE Learning Network. You agree that you will not use any robots, spiders, crawlers or other automated downloading programs or devices to: (i) continuously and automatically search or index any Content, unless authorized by us; (ii) harvest personal information from the Site for purposes of sending unsolicited or unauthorized material; or (iii) cause disruption to the working of the Site. If this Site contains robot exclusion files or robot exclusion headers, you agree to honor them. Any questions about whether a particular use is authorized and any requests for permission to publish, reproduce, distribute, display or make derivative works from any Content should be directed to CE Learning Network Global Rights. You may not use the services on the Site to publish or distribute any information (including software or other content) which is illegal, which violates or infringes upon the rights of any other person, which is abusive, hateful, profane, pornographic, threatening or vulgar, which contains errors, viruses or other harmful components, or which is otherwise actionable at law. 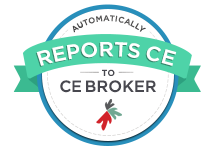 CE Learning Network may at any time exercise editorial control over the content of any information or material that is submitted or distributed through its facilities and/or services. You may not, without the approval of CE Learning Network, use the Site to publish or distribute any advertising, promotional material, or solicitation to other users of the Site to use any goods or services. For example (but without limitation), you may not use the Site to conduct any business, to solicit the performance of any activity that is prohibited by law, or to solicit other users to become subscribers of other information services. Similarly, you may not use the Site to download and redistribute public information or shareware for personal gain or use the facilities and/or services to distribute multiple copies of public domain information or shareware. Any media accessible through CE Learning Network Virtual Library remains the intellectual property its author unless otherwise specify. CE Learning Network does claim ownership of any copyrighted material available through the Virtual Library and does not profit from its student accessing the Virtual Library. All media provided through the Virtual Library is for the enhancement of the student educational experience only and cannot be use for commercial purposes, reproduced, stored in a retrieval system, or transmitted, in any form or by any means, electronic, mechanical, photocopy, recording, or otherwise, without written permission from the author. If at any time you believe that we have not adhered to this copyright policy or you have a complaint regarding the way educational material is being handled, please contact our Business Developing Office. Disputes under this copyright policy will be resolved by our Business Developing Office, which will use commercially reasonable efforts to promptly investigate, and if necessary, to correct any problem.